Muah! Smooch! Or as my husband and I like to text each other, Kiss Kiss! I love love love the shape of lips! 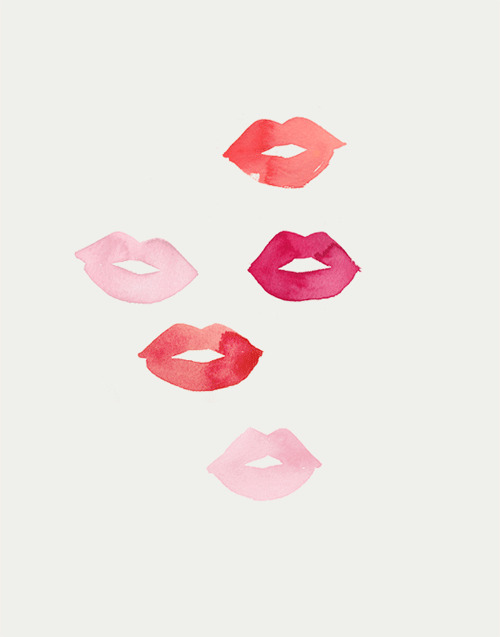 I thought about using lips as my “signature” on the back of my cards but I didn’t because 1. I hardly have any (lips) and 2. I never wear lipstick. But even though I’m so plain Jane, I can’t help but buy lipstick when I pass the MAC makeup counter at the mall. The colors are just so gorgeous! It’s like I’m a kid in a candy store! 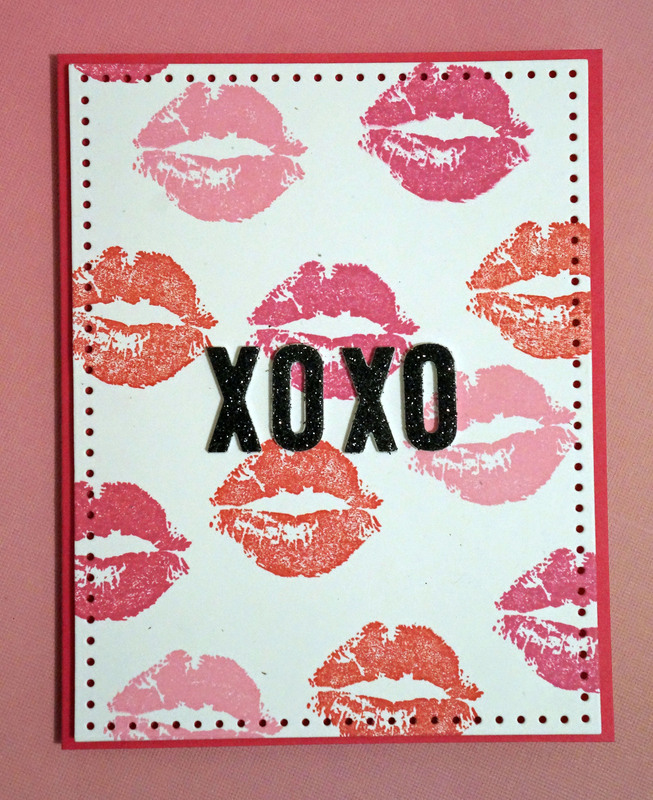 So of course I was excited to use one of my “lips” stamps for a Valentine’s Day card. I decided to submit this card to the Make It Monday Challenge. Part of the challenge is to use at least one Papertrey Ink item and use homemade foam stickers. 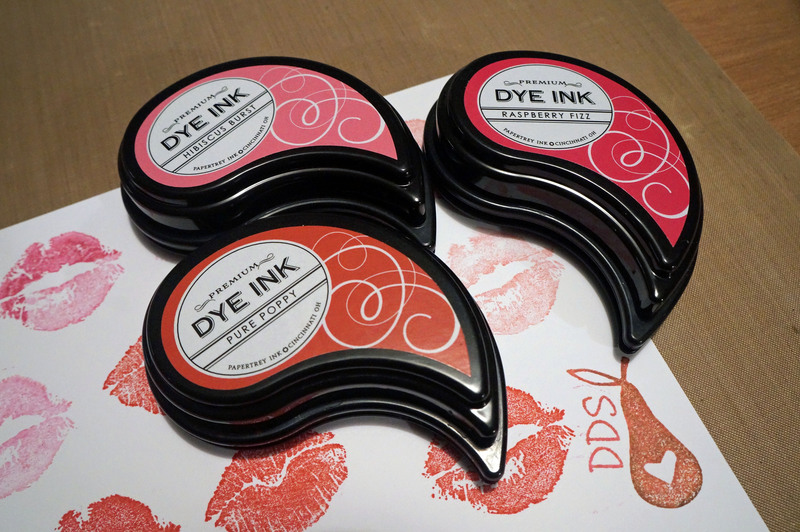 The paper, ink, and rectangle die are from Papertrey Ink. I made the XOXO foam stickers with black glitter paper and foam paper I bought at my local Hobby Lobby. I cut them out with Lawn Fawn alphabet dies and my cuttlebug. The stamp, Kiss #127C by Rubber Stamped, was also bought at Hobby Lobby (a couple of years ago). Super simple but sweet!